I believe this is part of a sequence of origin one-shots that will be collected in time for the Avengers movie; this one's by Kathryn Immonen and Al Barrionuevo. 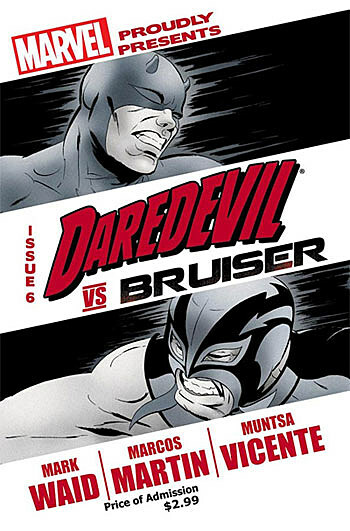 I'll look at anything Immonen writes these days. A new American (I think) edition of a book that's been through a few incarnations. Between 1981 and 1983, Moore wrote around 40 short (two-to-six-page) one-off science fiction stories for 2000 AD; a lot of them are obviously the work of a fledgling but promising writer, but a handful of them are really good. 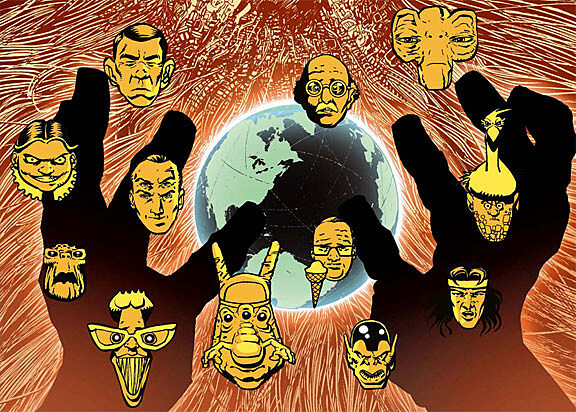 ("Chronocops," with his future Watchmen collaborator Dave Gibbons, is a very densely packed time-traveling Dragnet-via-MAD parody that supposedly made Moore realize that Gibbons would draw as as much detail in each panel as he asked for.) I believe this edition also includes all eight episodes of Moore's intermittent Abelard Snazz series; one was omitted from at least one earlier collection of his 2000 AD shorts, on the grounds that Moore had realized he'd accidentally lifted some plot elements from an R.A. Lafferty story. Meanwhile, 2000 AD proper keeps plugging along on its not-as-weekly-as-we-had-been-led-to-believe American shipping schedule. Both #1757 and #1758 show up this week, with five ongoing serials: John Wagner and Henry Flint's "Judge Dredd," Ian Edginton and Simon Davis's "Ampney Crucis," John Smith and Edmund Bagwell's "Indigo Prime," Kek-W and John Burns' "Angel Zero," and Rob Williams and D'Israeli's "Low Life." The longer he sustains it, the more I appreciate Mark Waid's re-imagining of this series' tone: it acknowledges everything that's come before it, but it's significantly different and a treat to read. This is apparently artist Marcos Martin's final issue before he moves over to a creator-owned project with Brian K. Vaughan. Well, good on him. Dave Sim keeps on tickin'. It's nice and all that Dave Sim's Last Girlfriend has found a publisher, but there is a whole lot of uncollected Cerebus material that would make a much more enjoyable book than faxes about its creator's love life, you know? 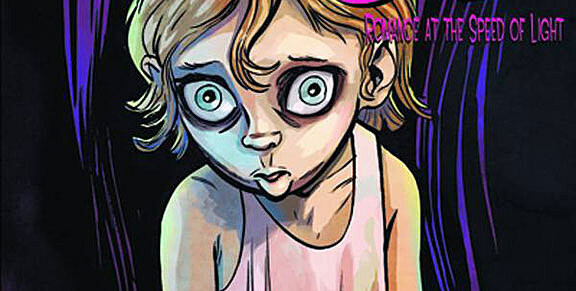 Jeff Smith, dimension-hopping, Nikola Tesla, art theft, etc. The issue that came out last week is now the only uncollected one (this one includes #8-11). A relaunch of the series that didn't quite take off last year; perhaps DC is prescient enough to figure that they probably want to get as much Nick Spencer stuff in their catalogue as possible while they still can. Wes Craig draws the main story, Jerry Ordway draws the flashback sequence. William Moulton Marston/H.G. Peter reprints, from the bondagearrific era. 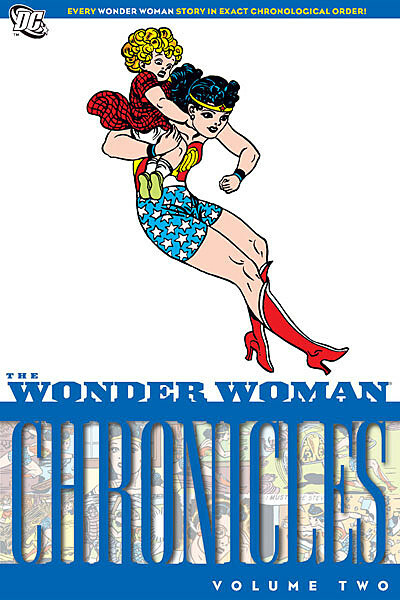 Includes stories from Wonder Woman #2-3, Sensation Comics #10-14 and Comics Cavalcade #1. As usual, Noah Berlatsky has very interesting things to say about this stuff.